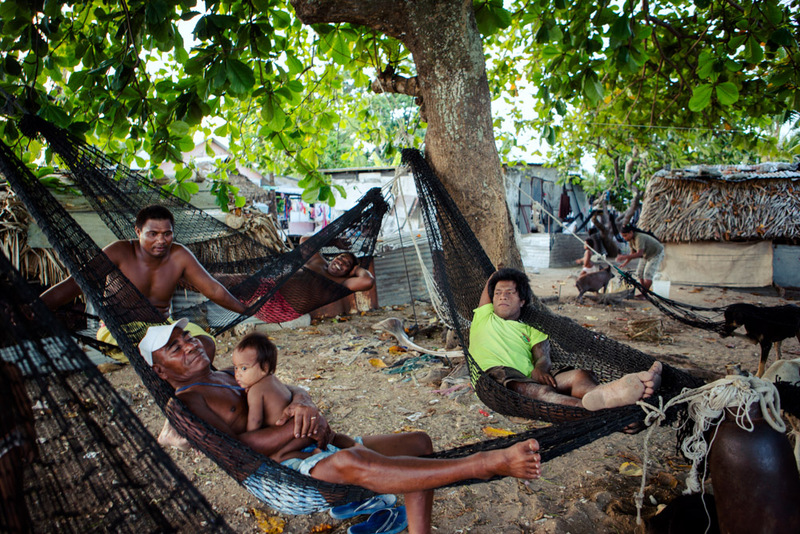 Men relax during the heat of the day on hammocks. People are most active around dawn and dusk when the temperature cools. Bairiki Village, Tarawa Island, Kiribati.